Sundays are crafty - so I have another project to share with you. 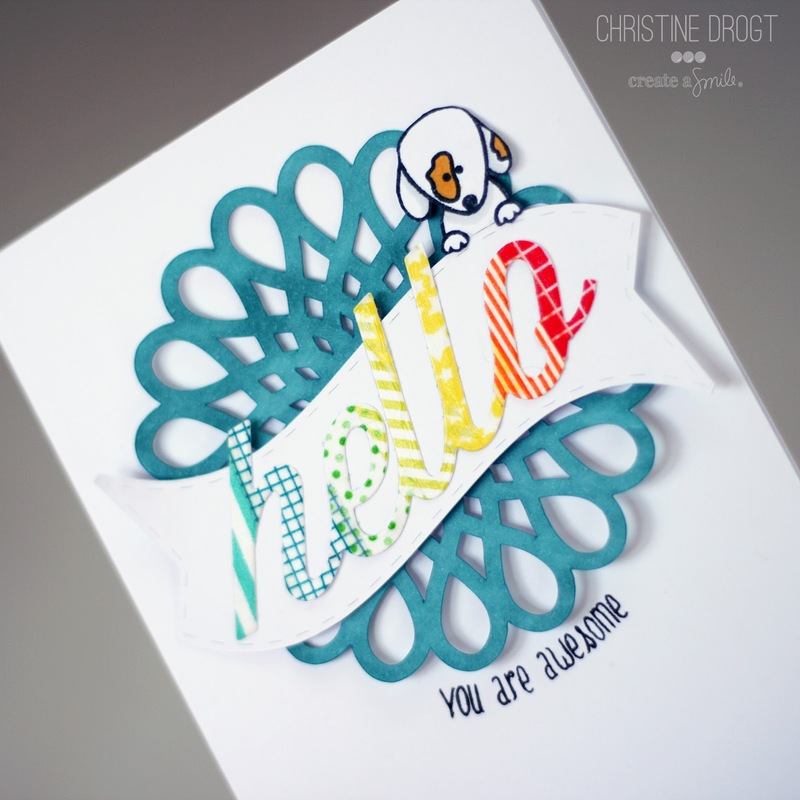 I'm sharing some thoughts on layered (die) cut on the Create A Smile Blog. I'm really in love with cut shapes, but combining them can be difficult - however I really love how this card turned out. There will be a discount tomorrow, check our Facebook page tonight to find out more! Christine, your case of Jane's card is delightfully pretty! Thank you for sharing your creativity at AAA Cards! Love it!! So crisp and colourful :) Thanks for joining the Crafting At The Weekend challenge, hope to see you again soon. Loving your CASE of my card. Thanks for playing at AAA Cards this week. Absolutely adorable! Love the colors, your delicat doily - and the puppy? Too cute! Thanks so much for joining in at AAA Cards. Gorgeous card. Thanks for joining in our 'Anything Goes' challenge at Crafty Calendar this month.